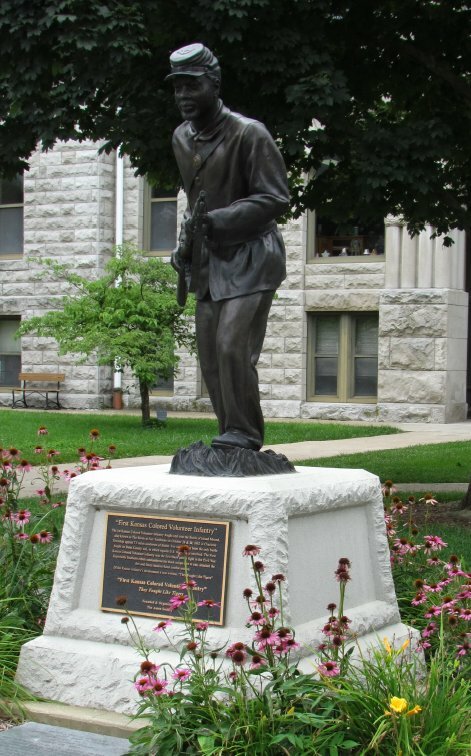 Above: The beautiful Lincoln University Memorial to the 62nd US Colored Troops, who donated to found the University after the war. Where is this? 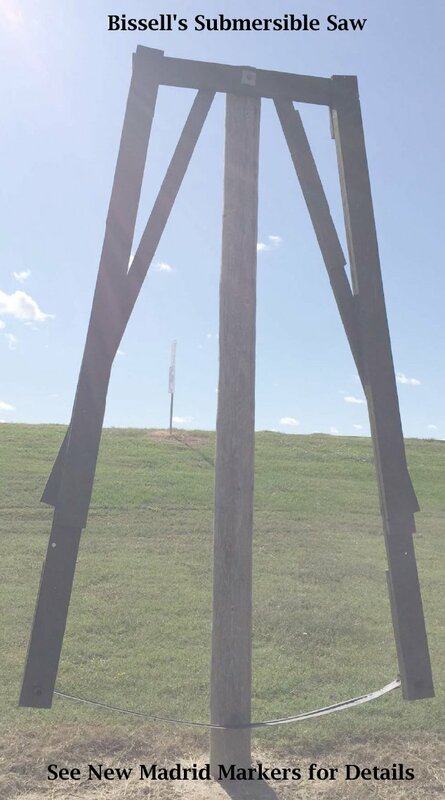 Here is a monument to the Missouri Battle of Pilot Knob in a place called Gateway Park, but we have no idea yet where it is. 1st Kansas Colored Infantry Monument in Butler, MO. Honoring the 1st action of the Civil War by an African-American unit at nearby Island Mound. 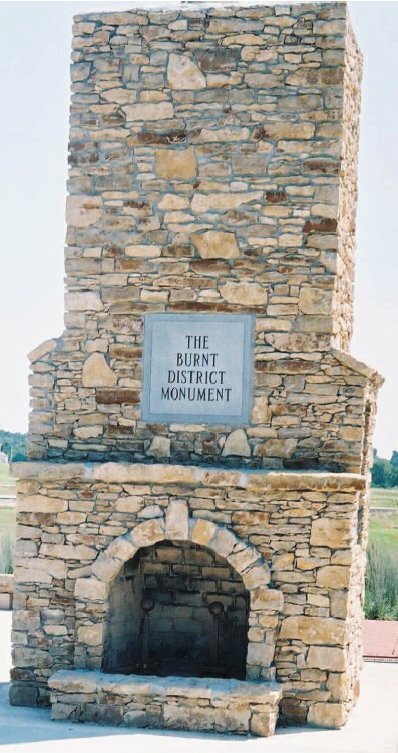 -The Burnt District - There is more to this monument in Harrisonville, Cass County. 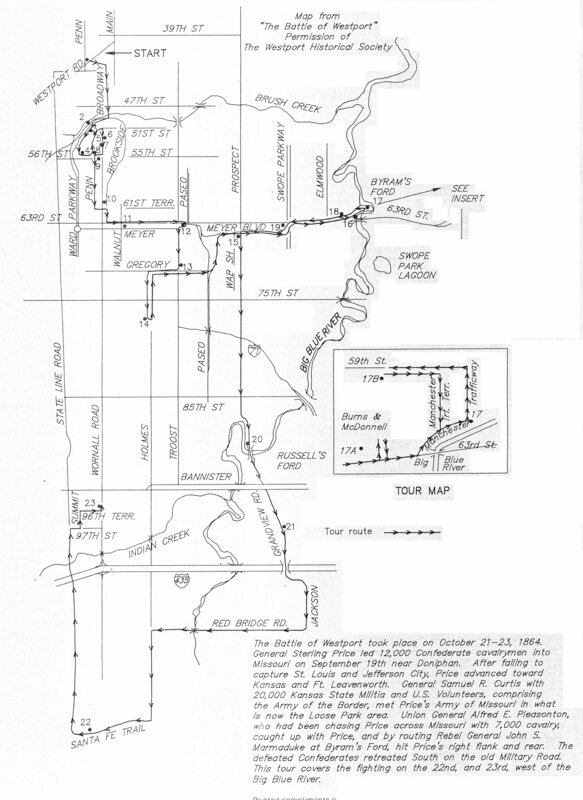 It has a lot of historical information. But be careful about learning history in the Burnt District (Jackson, Cass, Bates and part of Vernon County). You might come away with the impression that every house was burned, every town destroyed, every innocent bare footed Missourians (apparently Missourians didn't know what shoes were) occurred between August 23 and November 1, 1863, the time of Orders No. 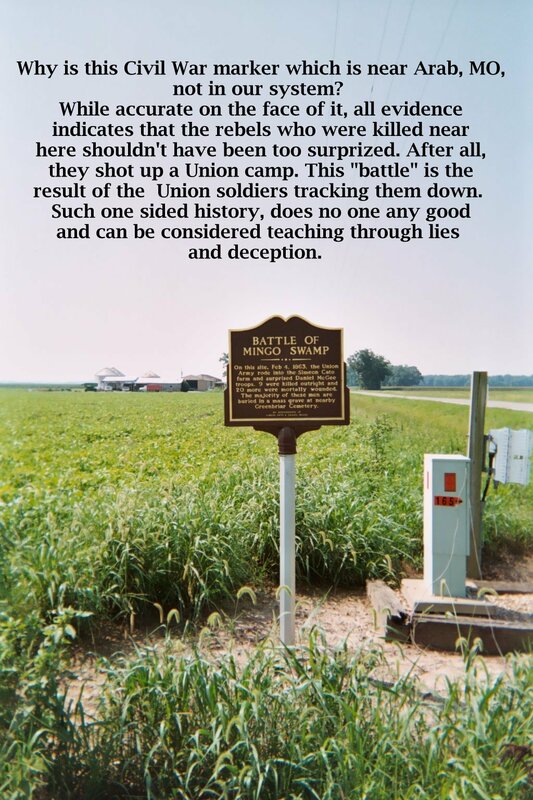 11 and Union soldiers did it. Butler, Bates County, was burned in June by Confederates despite what the mural in downtown Butler shows. Also many of the chimneys left after a house was burned are known as 'Jennison Monuments' after Union Col. Jennison who started his work long before Orders No. 11 demanded the removal of the remaining approximately 4,000 to 8,000 people from the counties. That is a provable number. The 20,000 to 100,000 refugees Missourians claim is fallacious. 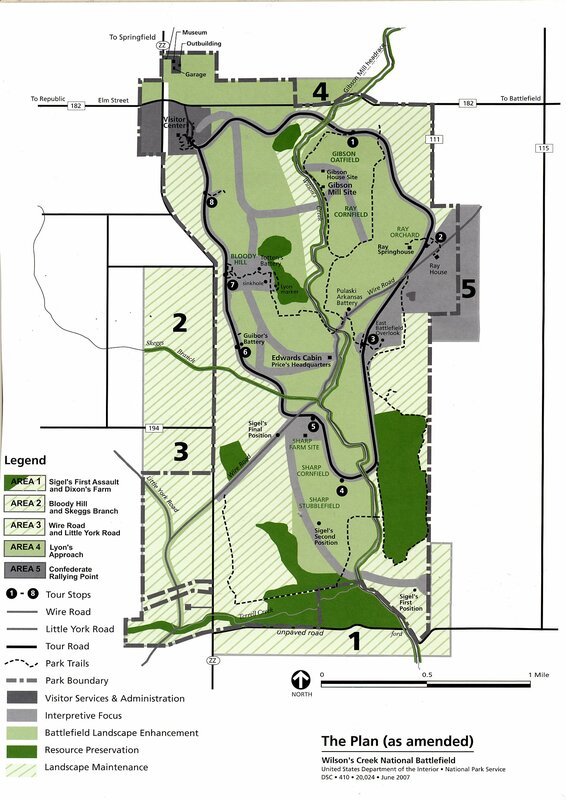 The Burnt District is a perfect example of people needing to research more than one source when doing their history. So many monuments can be one-sided and while most in the Burnt District seem even handed, many are examples of the Lost Cause mentality. 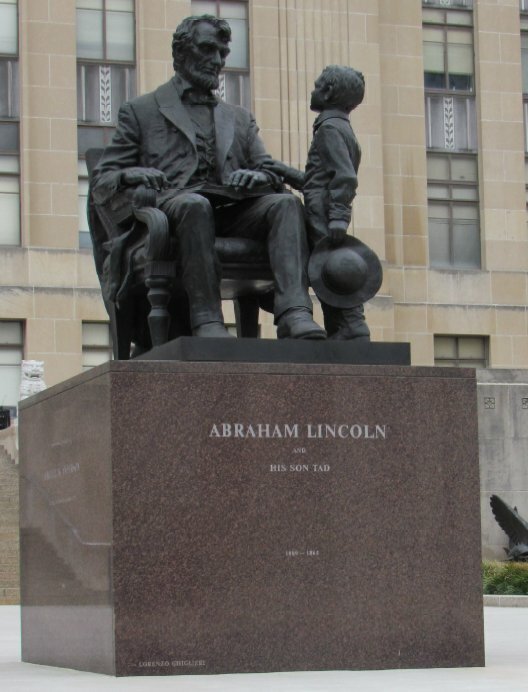 Why even the Dept of Natural Resources monument in downtown Kansas City concerning Orders No. 11, while written to be neutral (factual) history used the word 'infamous' when describing the order. While Missourians might think that way, Kansas thought it was the best thing since the invention of shoes. The Ozark Battalion Monument in Salem. Apparently the GAR had state departments and posts and within departments camps were allowed to organize into groups of camps known as battalions. Only two battalions are known at this time to have existed in this state. The granite on this monument is an unusual gray and white marbling which actually makes reading the inscription difficult. Others are now being found and it appears creating battalions of grouped Posts was a common thing. 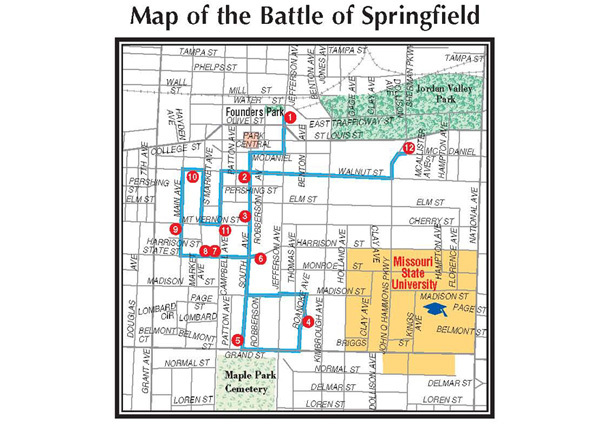 Currently, the Southwest Battalion, the Osage and Gasconade Battalion, Johnson County Veteran's Association and the Chariton County Battalion are known. The 1839 Cannon at the Gasconade County Courthouse survived the Civil War but blew up years later during town celebrations. 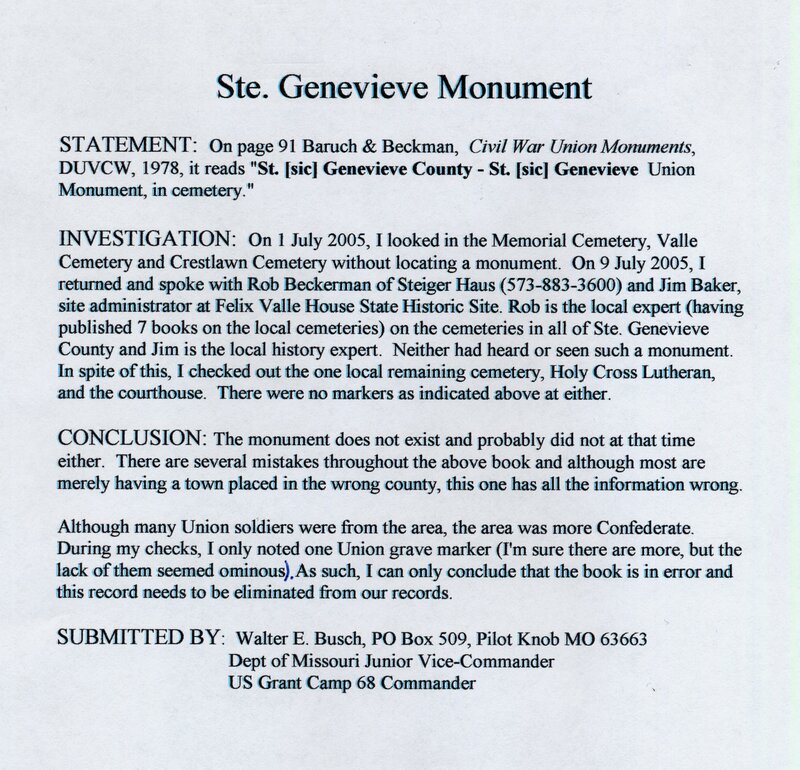 This monument in Clinton, MO, gives no indication if it is Union, Confederate or both. It seems to be both. 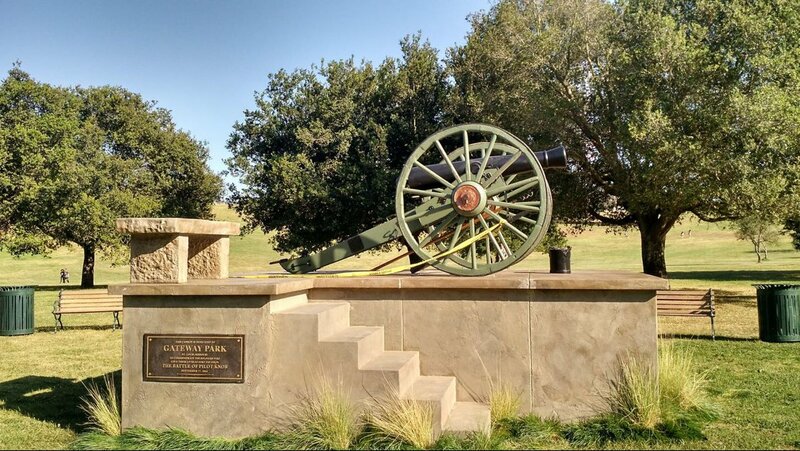 There is no reason given for the monument, no specific army units or people named. At 5'8" average for the Civil War soldier, they didn't stand too tall. 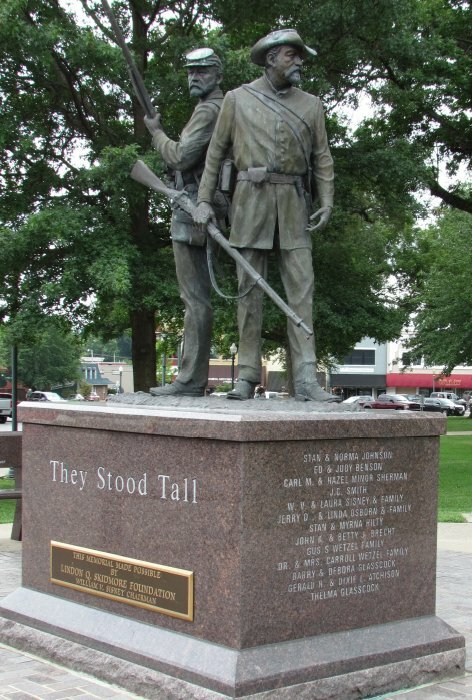 The Union Monument at Laclede, MO, in Linn County is known as "The Color Bearer" Model No. 6977 in the 1913 Mullins Company Catalog. The Soldier stands 6 feet tall and is made of sheet bronze. The 1913 catalog can be downloaded from our general monuments page. Hwy 66 near the salt caves. 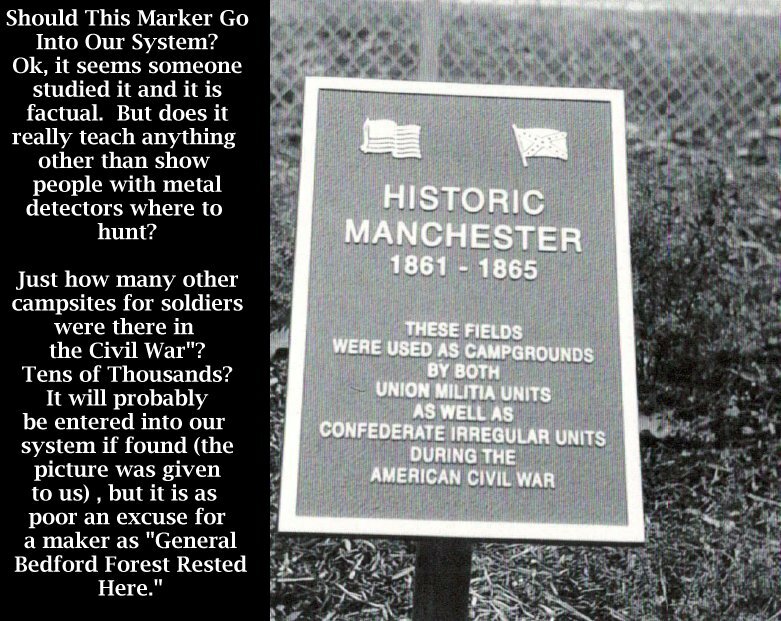 Courtesy of the Missouri Civil War Heritage Foundation.